Its been a very looooonnnnng time since i have blogged. with two active kids, work orders , daily chores... no time to enter the blog world. 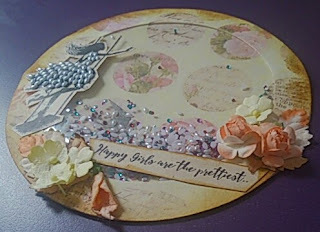 i had joined an ATC group in fb last August. 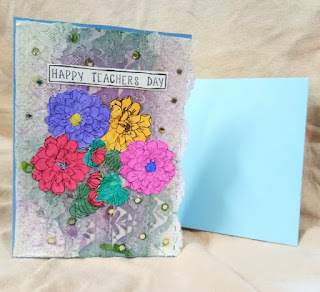 and since then learning lot of techniques in card making. 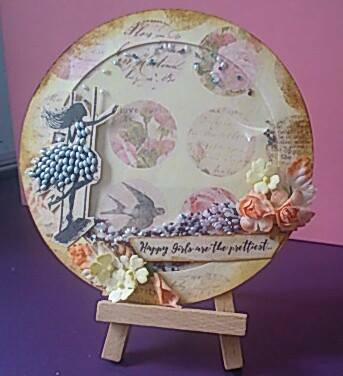 Lastest ATC theme for the September 2016 month is Anything but a Rectangle or Square. So tried making a Circle card! Shaker card is in trend now , so i thought why not a circle Shaker card. Stamped a Girls image and added pearls to her dress.Also a caption comes along with the stamp. (Stamps from MUDRA). Vintage effect is given to the card.Hope it has come out good. hope you all liked it .